Digg Reader is a news service that wrangles the best stories from all over the web and delivers them to you in an attractive and sensible way. Using some social networking magic in addition to actual living humans, Digg decides what the most relevant and talked about stories of the day are. Today, they've released the Digg Reader app onto the play store and, my oh my, is it pretty. 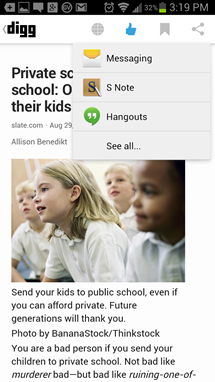 All the makings of a great news app are there. It's got the slide-out menu on the left and all the relevant buttons on the top right. This is a fantastic example of a news app. 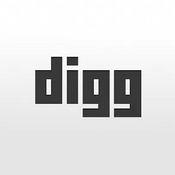 Whether you've been using Digg for years or are just finding out now that it still exists, Digg Reader makes it pretty easy to jump in and start digging. 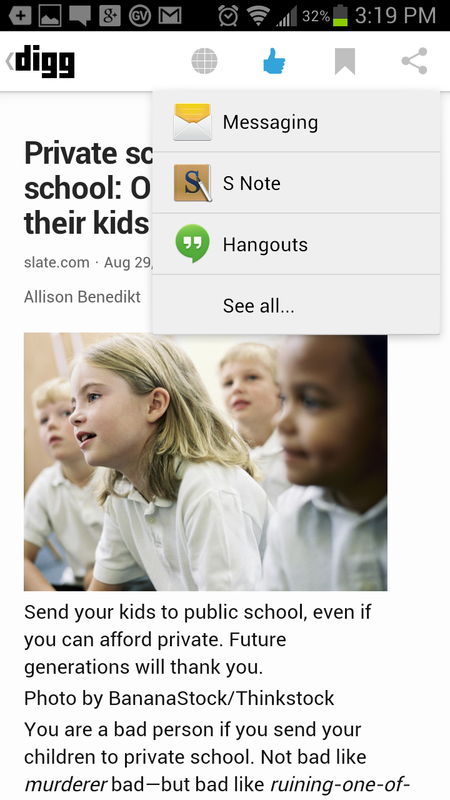 You can log in with Facebook, Twitter, or Google and subscribe to your favorite publishers. It's probably relevant to note that Digg Reader is technically a separate service from Digg, with Digg itself being the "Top Stories" section of the Reader app, which also lets you specifically subscribe to various publications and news sources. 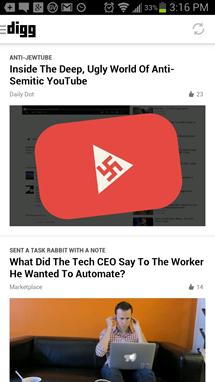 You can grab Digg Reader from the Play Store for free right now.